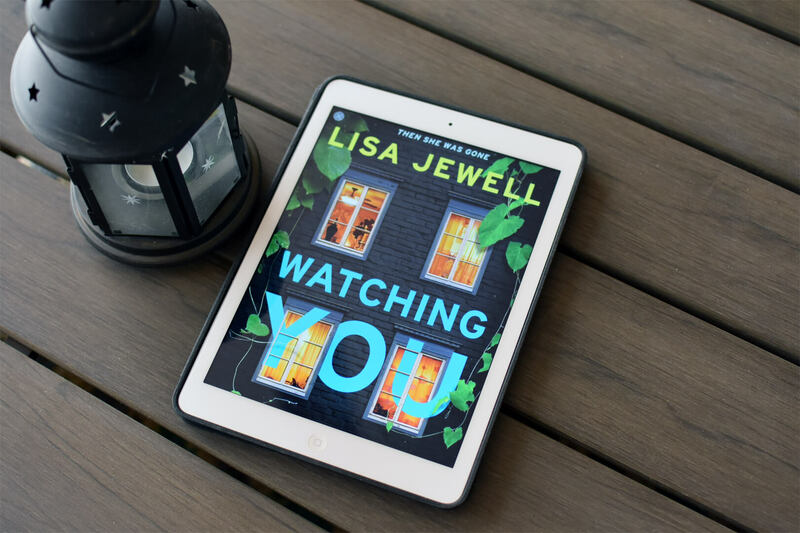 Watching You by Lisa Jewell is a suspenseful page-turner about a shocking murder with plenty of twists and turns. The following book club questions will have spoilers so if you haven’t read the novel yet, check out my preview and review first. The story is about a group of very different people living in the Melville Heights neighborhood in Bristol, England. It’s an upscale neighborhood so while it’s perhaps not the place where criminal activity is expected, everyone sure has a secret. While there are several characters throughout the novel, there are four main ones: Tom Fitzwilliam, the local school headmaster that everyone seems infuriated with, including his neighbor Joey Mullen who develops an obsessive crush. Then there’s Tom’s teenaged son Freddie who adopts an odd hobby of spying on the entire neighborhood. Lastly, we have Jenna Tripp, who also lives on the same street, and she’s not convinced her teacher is as squeaky clean as he seems. This one is definitely creepy! Watching You is a suspenseful read, in what ways is the novel also a mystery? The story is split into four parts, with also a quick diary entry, a prologue and an epilogue. What did you think about this story structure? Which section stuck out to you the most? While there are many different characters, we read the story from the perspectives of Joey, Freddie and Jenna. Why do you think author focused on them? How would the story have been different if we would have also read it from Tom’s perspective? What do you think everyone was infuriated with Tom? What was your initial impressions of Freddie? Did this change at all as the book went on? In what ways is Freddie similar to his dad and mom? In what ways is he is different? A large portion of the book is the potential horror that Tom is in fact having affairs with his teenaged students. Did you believe that he was doing this or did you think it was a misdirection? Who did you think was murdered and who did you think did it? Were you surprised that it turned out to be Nikki murdered by Rebecca? What hints did the author include that showed Rebecca and Nikki both had their own secrets? Even though it was revealed that Tom didn’t actually have an affair with Viva, do you believe that he still played a role in what happened to her? At the end of the novel, Freddie finds a bunch of long, black hair hidden in an old envelope. Whose hair was this and what did that mean in the context of the story? Let’s talk about the ending. How did Joey’s mother’s death impact her and her decision making? Why do you think she married Alfie? Why did she become so obsessed with Tom? What was your impressions of Jenna? What happens next to all the characters? I think I’m good with thrillers for a while after reading this one. Next on my list is The Gown: A Novel of the Royal Wedding by Jennifer Robson. You can read my preview here.